Though the Sounders boast depth at every position, there's been no real competition for starting jobs in which any incumbent was at risk of losing his. Brian Schmetzer and his coaching staff have been working at ways to ensure the team, winless this preseason, keeps a high intensity level heading into their March 2 opener. Sounders coach Brian Schmetzer stared on at a 3-on-3 game simulation late in practice looking for the spark he’d hoped it would generate. Igniting players late in training camp can be a challenge in any pre-season. 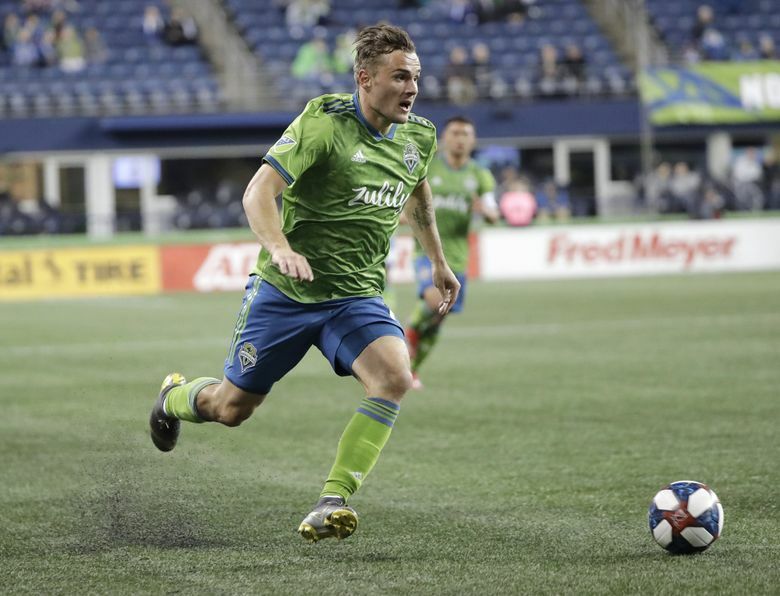 But in this particular one, with the entire starting lineup all-but-set before the first exhibition game three weeks ago, the Sounders’ main opponent between now and their March 2 season opener against FC Cincinnati could be themselves. It’s therefore up to Schmetzer to keep his team’s intensity level sky-high as the Sounders, winless this pre-season, hope for a stronger start than in any of the prior three years. “It’s something that we strive to do in the makeup of our training sessions,’’ Schmetzer said Thursday as the Sounders prepared for Saturday’s final pre-season tune-up at San Jose. “This last little (training session) game here was three against three. In a small-sided game, with two big (nets), three against three is ultra competitive. Whether that and some other coaching tactics help overcome the lack of true competition for starting spots will be known two months from now. By May 4, the Sounders will have played 11 of 34 games – a third of their season – due to some MLS schedule condensing. It means they can ill-afford to stumble early and wait until June or July like in years past to begin a season-altering turnaround. Do that this year, the schedule will be half over by early June and nearly two-thirds done by mid-July and likely unsalvageable. So, Schmetzer and company need players primed from the get-go. And they’ll need to get them there without those players fearing for their starting roles in camp. And all six of those players were practically assured of spots in the 2019 lineup once the offseason began. Same with right back Kelvin Leerdam, midfielder Gustav Svensson, winger Victor Rodriguez and native son Jordan Morris. The only position with even a smidgen of doubt, beyond how Morris and his surgically repaired knee would respond to game action, was at left back where Brad Smith and Nouhou were set to battle it out. But that competition appeared over before it even started after Nouhou missed the early part of camp with visa issues and gave Smith – already the team’s seeming favorite to start off the season – an even bigger lead over him by default. Still, judging the intensity of preseason can be a tricky prospect. After all, the Sounders failed to win a preseason game two years ago and then made it all the way back to the MLS Cup final. They lacked any real cohesiveness throughout a 2-0 loss to Nacional of Uruguay on Wednesday, though they put out a mixed lineup of regulars, substitutes and second division Tacoma Defiance players. The team has looked stronger when the regular lineup is mostly playing, something that will happen against San Jose. The competition factor was far different a year ago, with Ruidiaz, Smith and Kim not even on the team yet. Lodeiro and Rodriguez were hurt to start the year, freeing room for a freshly-drafted Alex Roldan to get early starts while Handwalla Bwana and Henry Wingo also saw plenty of action. Now? Even veteran center back Roman Torres — expected to push Marshall and Kim for playing time — has barely gotten on the field yet. As for mid-season additions bumping current starters, Sounders general manager Garth Lagerwey popped some air from that balloon this week by stating on the team’s flagship Sports Radio KJR station it’s unlikely he’ll add a “splashy” third designated player to replace the departed Osvaldo Alonso. Lagerwey added Ruidiaz and Smith last summer, while the prior July he brought in Leerdam and Rodriguez. The glass half-full types might suggest that the reason the Sounders needed a half-season to turn things around both years was because those reinforcements came so late. And that, with everybody already in-place right now, there’s a far greater likelihood of a strong season start – training camp competition notwithstanding. A team apparently set in stone since before last season was even officially done.